Though full-time travelers don’t really have to worry about rent or mortgages like our home-bound friends, we DO have to consider other costs like gas, RV maintenance, and camping fees. While full-time RVers tend to live cheaper than they would anywhere else, it’s important to keep a handle on the finances. Nightly camping rates can add up fast, and a meager budget can quickly get blown away by overpaying for a spot in an RV park. Of course, it totally depends on what your travel style is like. Some people want to be as far into nature as they can be, and only want to boondock. Others want to be closer to cities, for work or family reasons, and so they want to stay in parks. Consider your traveling preferences, your budget, and how comfortable you want to be in your rig. For myself, I’m probably going to do a combo of overnighting (staying one night in a non-RV park) and long-term RV park rental. I may do some boondocking in the wilderness, but not until I get more comfortable with my rig and feel confident I can get myself out of a dangerous situation. Most free campsites don’t offer many (or any!) amenities or hook-ups. This means you’ll need to bring extra stuff with you, which means more prep before you get there. Paid campsites can vary on their amenities, and usually the more you pay, the more you get. Check the websites or call ahead if you need a particular service or amenity. Even then, you should still prep as much as you feel comfortable with because– you never know what’ll happen! RV parks will often give a discount for booking a stay for a week or more, BUT you may not be able to use additional coupons or discounts on that stay. Joining an RV club has perks like campsite discounts and coupons. More boondocking opportunities in the West side of the US, because there are more state and federal parks there. The following is a list of websites and information that I’ve built through lots of research. It’s meant to be a starting place for finding free or cheap campsites for RVers. 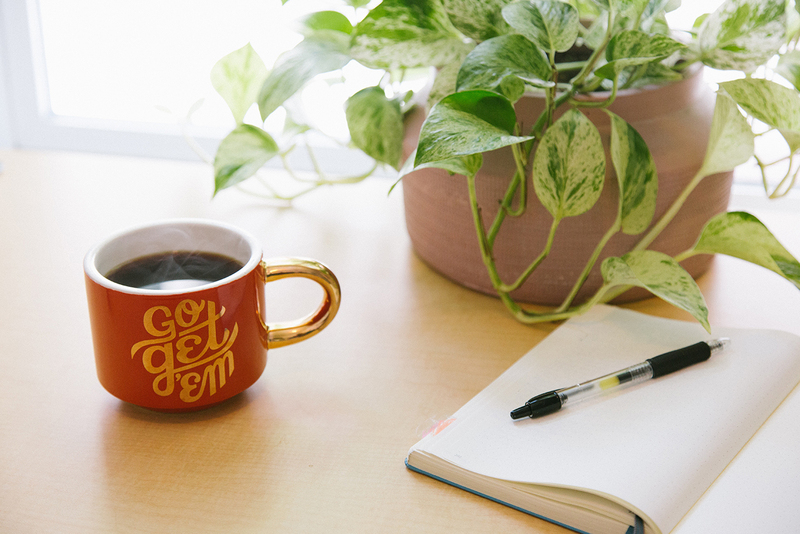 I hope you’ll find it useful, and if you know of any more website resources for RVers, please send them my way so I can add them to the list. Description: Community-built listing site for RV-friendly Walmarts which allow overnight parking. PDF download available for $4.99. Description: BLM is a government department overseeing more than 247.3 million acres of land, mostly located in the West and Midwest. Campsites with hook-ups are usually paid (https://www.recreation.gov/), but if you’re willing to boondock you can often snag one for free (“dispersed camping”). To find dispersed camping locations, stop by a ranger station on your way onto BLM land or search “dispersed camping + location”. Description: Like AirBNB, but free (except for the membership cost)! Hosts offer a space for a night or two; locations, availability, and hook-ups are entirely dependant on the host. Description: RVers can usually park overnight in the parking lot, but be sure to ask the manager of each shop before you go for it. Description: A community-built listing site for casino which allow (and sometimes encourage) overnight RV camping in their parking lots. Listings include photos, reviews, and ratings. Description: Community-built listings for free campsites, with an emphasis on public lands (e.g. not Walmarts/parking lots). Can accommodate tent camping, car camping, and RVs. “Cheap” can mean different things to different people, but to ME it means “under $100 a night.” Some places will cost more depending on where they’re located (coasts are pricier! ), and campsite costs vary even within the same camping area. That said, this is a good starting point for finding cheap places to stay! Description: BLM is a government department overseeing more than 247.3 million acres of land, mostly located in the West and Midwest. Campsites with hook-ups are usually paid, but if you’re willing to boondock you can often snag one for free (“dispersed camping”). Check the website for availability, fees, and site descriptions, then book a reservation. 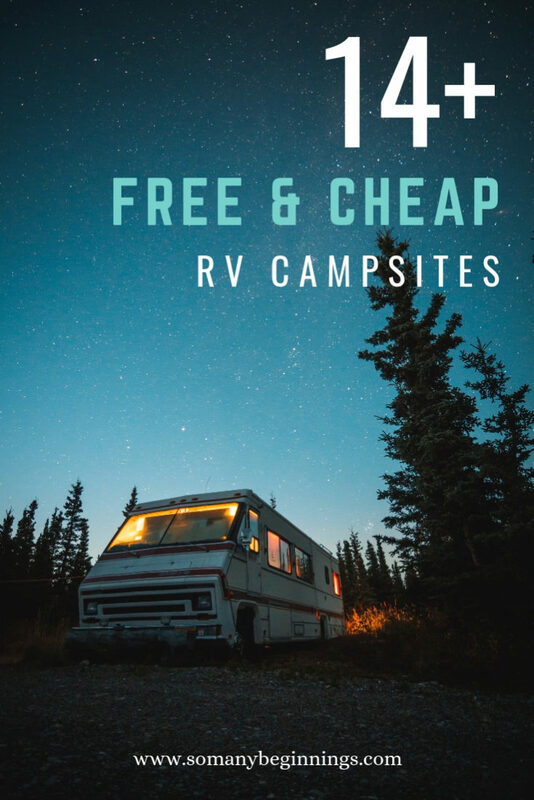 These clubs have yearly membership fees, but if you’re planning on staying in a lot of paid campsites then it might be worth checking them out because they have discounts and coupons you can use. They’ll often have more benefits than just RV park discounts, too! Description: Membership with this club comes with campground and RV park discounts, fuel discounts at Pilot Flying J, propane discounts at Camping World SuperCenters, free dump service at Camping World SuperCenters, and various other discounts with partnered businesses. Description: Membership with this club comes with lots of benefits, not least of which is discounts to RV parks and campsites– AND other membership sites! Cost: $585/year for the first zone; additional zones $54/year; add-on “Trails Collection” is another $214/year. Description: Membership with this club includes FREE nightly stays at the Thousand Trails resort RV parks and campgrounds. Did you find this post helpful? Leave a comment below and say hi! Previous Post: « Should you join a caravan?